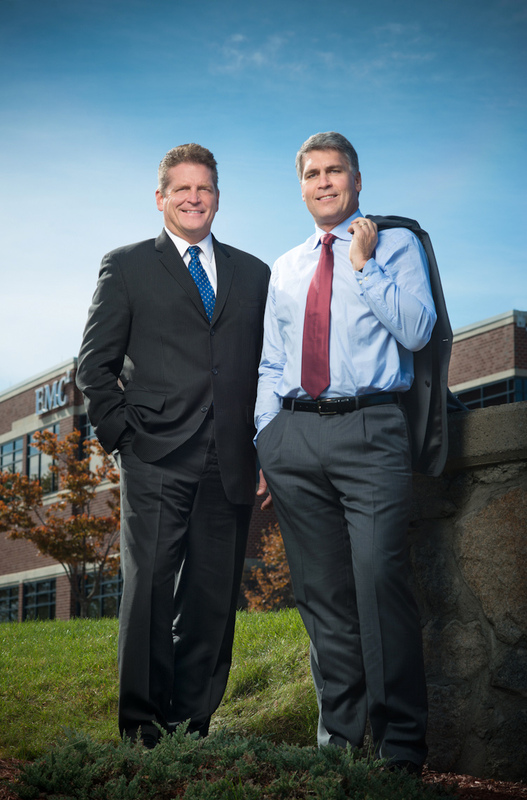 Portrait of two executives from EMC corporation in Hopkington, MA. A portable strobe light was used for the lighting and a camera position of slightly below gave the subjects a bit of a "hero's pose." The usage was editorial.